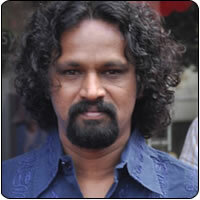 Cheran has appealed to the film fraternity to allot land or house to every national award winning director. The actor-director said that shawls would not suffice for national award winners. Cheran, who was present when a shawl was presented to the award winning director Bala by Rama Narayanan on behalf of the Producers’ Council, said that directors need to be recognized for their contribution to cinema. Director Bala was also presented with a memento by veteran director K Balachander.